If you haven’t snacked on a grasshopper lately, you’re missing out on a hefty dose of nutrition. To stay lean and healthy, every meal must contain protein, fiber and healthy fat. When I suggest quality proteins, I’m usually referring to foods such as eggs and egg whites, lean poultry, seafood, low-fat dairy and so on. I’ve even recommended more exotic game meats such as ostrich, bison, elk and caribou. If you’re the adventurous type, though, there is an extremely affordable, sustainable and eco-friendly – yet high-quality – protein option you may want to consider: bugs! I’m not talking about the bug parts that unintentionally make it into our food in kitchens or factories; I’m talking about making them the main event. The western world hasn’t seemed to catch on to what a large part of the world already knows: Insects can be a nutritious and delicious food source. More elegantly referred to as ‘insect cuisine’, entomophagy is the consumption of insects and arachnids as food. Several insects are packed with protein, fiber and good fats – all part of a healthy meal! Many countries in Africa, the Americas, Asia and Europe are already ahead of the game, with an estimated 2 billion people consuming insects as part of their regular diets. A recent report out of the United Nations Food and Agricultural Organization encouraged nations to embrace nutrient-dense and sustainable insect food sources. Before you go and scoop up your dinner from the basement or backyard, most experts recommend you buy insects specifically intended for consumption so you don’t eat anything poisonous or tainted by chemicals or pesticides. 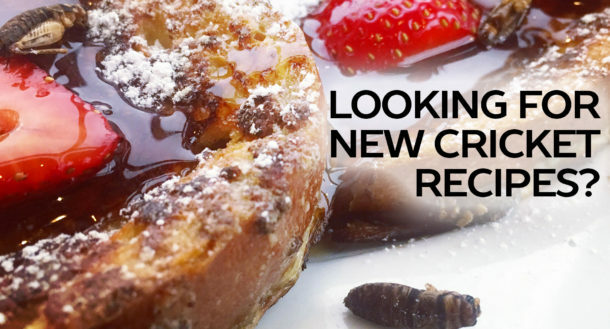 There are a bunch of retailers online, or if you live in a culinarily adventurous city, you may be surprised by how many establishments serve a variety of insects. Grasshoppers, crickets and locusts. 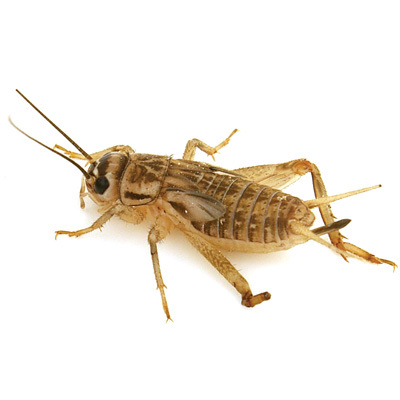 Grasshoppers (and their relatives: crickets and locusts) are the most highly consumed insect in the world. These hopping insects are easy to find (often occurring in swarms), easy to catch and have been reported to be quite delicious and nutritious. A 3.5-ounce serving of raw grasshoppers contains between 14 and 28 grams of protein and is rich in calcium and iron. Grasshoppers and their relatives have been reported to be neutral in flavor. Internationally, this makes them an ideal complement to a variety of dishes – including stews, stir-fries and other recipes with strong flavors. A popular way to prepare grasshoppers is by roasting them and seasoning them with soy sauce, garlic, onions and/or chiles. Caterpillars. Caterpillars are another commonly consumed insect globally. They are popular in many countries, including Botswana, Northern South Africa and Zimbabwe. With 53 grams of protein and about 15 percent fat per 100 grams of dried caterpillars, this insect has been considered to have a higher proportion of protein and fat than beef and fish. Beetles. Beetles are another very popular insect in the diets of many worldwide. There are tons of different types of beetles, with 78 edible aquatic beetle species reported. While it depends on which beetle you select, you can ingest up to 36 grams of protein from a single serving of palmworm beetle. These insects also provide a great source of minerals, such as calcium, iron and zinc.